Kidney stones are common to adults who have sedentary life and unhealthy lifestyle habits. But, if you hear a child suffering from kidney stones, that would be an entirely different story. Experts say that before, children are lesser prone to kidney stones because they are healthier and more physically active. 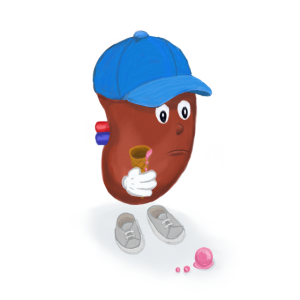 But, over the years, there has been a constant increase in the number of children that are being affected by kidney stones. Maybe because more and more kids now are living sedentary lives by being in front of the computer or by eating foods that are high in protein, calcium, and sodium. Studies show that majority of the children who are prone to developing kidney stones are those that suffer from underlying medical conditions which increases their risk of developing stones this early. For parents to understand how to deal with kidney stones in case their kids suffer from it, they must first understand everything about the condition. Having a broad understanding of the condition can help parents trace possible causes, identify symptoms, and give immediate response to the child in pain. Click Here: Life Extension, to find out how treating kidney stones with antioxidants are safer to use now. Just like in adults, there are different types of stones, which can be developed in a child’s system. 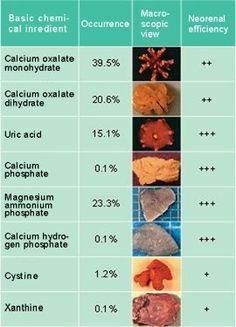 This can either be “calcium oxalate” which is the most common and caused by too much presence of calcium in the urine, the “struvite stones,” “uric acid stones,” and “cystine stones.” These types vary depending on the levels of the minerals found and their characteristics. Have You or Your Kids Had Kidney Stones? Parents would never know if their children are suffering from kidney stones if they are not familiar with its symptoms such as abdominal or back pain, blood in the urine or hematuria, vomiting or nausea, and the often need to urinate. In younger kids, these symptoms cannot easily be recognized that is why there is a need to undergo laboratory evaluation and tests. And undergoing medications such as “furosemide,” “allopurinol,” and “acetazolamide” which are known to promote formation of urine crystals that leads to the formation of kidney stones. The Ethan Foundation & CrossFit Old School teamed up to bring a seven-week after-school program to children at St. Joseph Interparochial School. Save 5.0% on select products from Fitccessory with promo code 05FITCCESSOR, through 2/12 while supplies last. Find the latest info on Health and Fitness at Basicbodykneads and More!